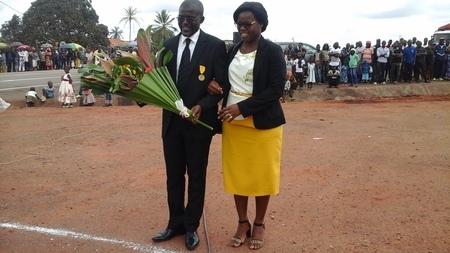 A Seventh-day Adventist pastor and church leader in the Central African nation of Cameroon was recently awarded the Order of Merit of Cameroon for his contributions to social peace through his preaching and example. Jean Pourrat Meting was awarded the honor in Ayos, Cameroon, on May 20, 2018. 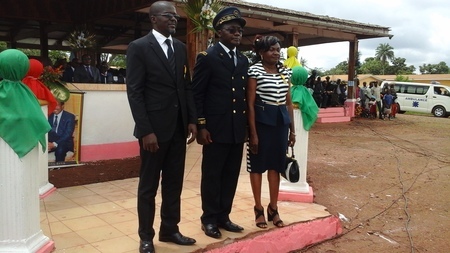 Sub-prefect of the Borough of Ayos Banga Richard awarded the decorationto Meting in front of a crowd attending Cameroon’s “National Day of Unity” celebrations in Ayos, a town located about 85 miles (140 kilometers) from the capital city of Yaoundé. Cameroon annual celebrations also included a military and law enforcement parade and the music of military bands. “Mr. Jean Pourrat Meting, on behalf of the president of the Republic of Cameroon and under the powers conferred to us,” read Richard, “we make you a Knight of the Order of Merit of Cameroon.” A solemn Meting, who attended the ceremony with his wife Alliance, was then honored and given the symbols that certify his new status. 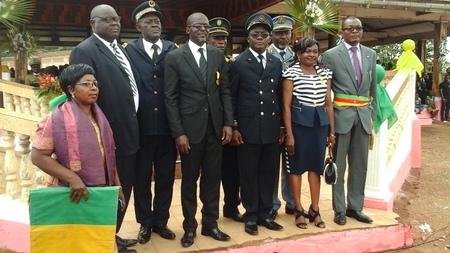 According to the Order of 1972, with the reorganization of the national orders and the Great Chancellery of the Republic of Cameroon, the appointment to the Order of Merit of Cameroon can only be made after a minimum of twelve years of outstanding and provedservice to the nation. A few days before the May 20 ceremony, Meting graduated with a Doctor of Theology degree at the Protestant University of Central Africa in Yaoundé. Meting is director of the Sabbath School and Personal Ministries department of Yaoundé-based Cameroon Union Mission church region, which oversees the work of the Seventh-day Adventist Church across the country.